Fall is my favorite time of year! Cooler weather, pretty colors, apples & pumpkins... I love it all!! I'm going apple picking this Saturday with my hubby and another couple. I can't wait to bring home apple cider donuts!!! Much better cutting than last week! Lots of seeds on that one! 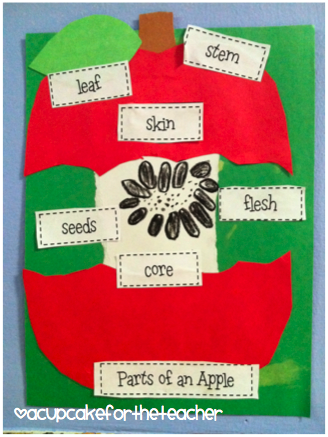 Tomorrow and next week, we'll be working on crafts and papers from my Johnny Appleseed unit. I can't wait to show you all the completed crafts! Stay tuned! Omg, we made these today too!!! These crafts are super cute! Wow! 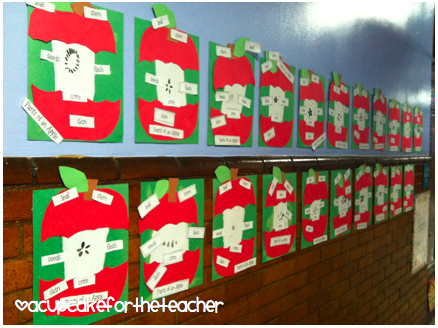 They did such a great job labeling! Fall is my favorite season too! LOVE It! 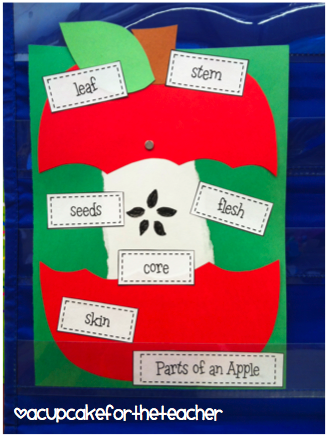 We're studying apples right now also. We're going to the apple farm tomorrow. My favorite field trip! I love your apple labeling. These are too cute! Apples are so much fun!! Cute!! I'm having a fall linky party/sale on Sept 22. Come link up and join the sale! I really need to do an apple study. I love it! Thanks for sharing. 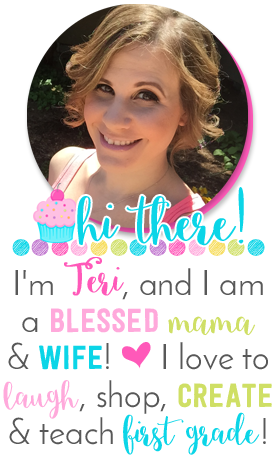 I just started a weekly link up over at my blog. I think your post would be perfect to link up. You should check it out! So glad I'm a week behind most! Your apples look great! 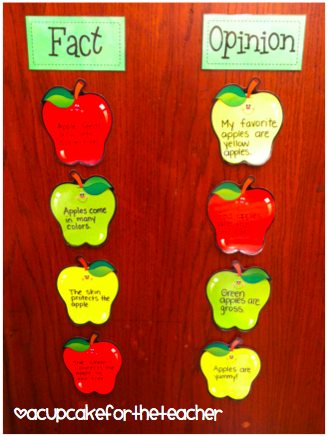 I just picked some apples to take to school this week. 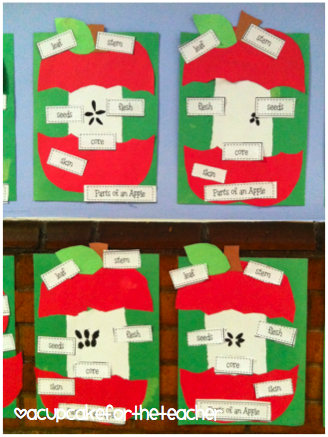 I have been looking all over....where can I buy the pattern for your parts of an apple craft ? 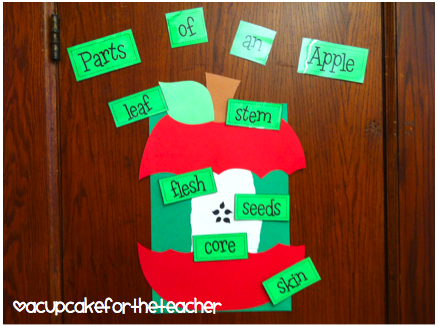 I love the parts of an apple craft! I've looked on teachers pay teachers but can't find it anywhere. Is there a place I can get the pattern?